Larry and Joyce Hardin left Southern California in the 1970’s looking to escape the crowds. They were searching for a quiet community where they could raise their family. They found Bandon, Oregon. Larry began working in precision optical fabrication as a teenager and developed a life-long passion for optics, technology, and science. 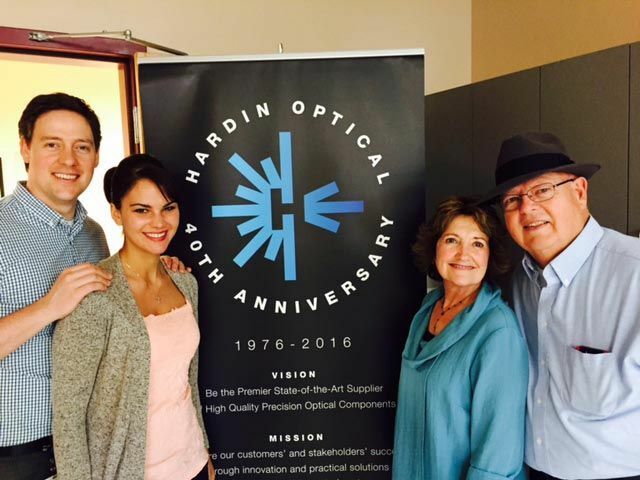 After completing several manufacturing projects from their new home on the Oregon Coast, Larry and Joyce started Hardin Optical Company in 1976 and began to hire employees. The company has grown over the years and now employs over eighty people including optical technicians, engineers, and machinists. As Hardin Optical expanded, Joyce and Larry moved the business to new facilities, but they always stayed in Bandon. In fact, construction was completed in 2007 on a new state-of-the-art 65,000 square-foot manufacturing facility to house the company’s operations. The new facility houses the latest equipment and technologies that create a wide spectrum of precision optics and thin-film coatings. Hardin also maintains a complete machine shop that provides custom fabrication and in-house tool development for project support and maintenance. 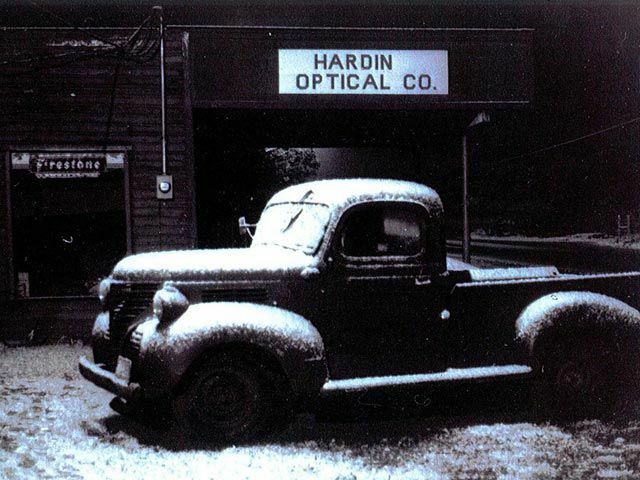 Hardin Optical remains a family owned and operated business to this day. Michael Hardin, Larry and Joyce’s son, has stepped into the role of general manager and plans to keep the Hardin family business growing strong for many years to come. Ensure our customers’ and stakeholders’ success through innovation and practical solutions while maintaining the highest level of customer service. Hardin Optical produces components for optical devices that are critical to functions in the military, medical, and industrial industries. At Hardin Optical we understand our customers. We view their success as our success. Many of our optics are used in hazardous environments, in devices relied upon by war fighters and doctors to accomplish their missions. Because we stand behind them, we take pride in our work and in our commitment to quality. Listen for and bring forth the best ideas and solutions. Drive continuous improvement in a controlled and ordered process. Be creative. Coach and encourage, drive consensus and support decisions made. Be accountable to each other. Contribute to a positive team environment. Believe in your role, be your best and take pride in your workmanship. Acknowledge and celebrate success. Have fun and inspire others. Do the right thing even when no one is looking. Face challenges honestly and promptly . Ethics are our foundation and not optional. Always interact with customers and stakeholders with the utmost respect, honesty and professionalism. The golden rule applies. Provide exceptional service and quality . Listen, collaborate, make meaningful commitments and meet them. Everyone is a customer. Consistently share pertinent information to empower others. Always ensure a mutual understanding. We commit to listening to and understanding our customers. As a Core Value, being Customer Focused means we listen to and collaborate with our customers as their partner, make meaningful commitments to them, and meet those commitments. Based on their feedback of our performance, we will continuously improve Hardin Optical. We commit to a culture of continuous improvement that listens for the best ideas and solutions. We commit to developing the skills and tools necessary to improve our products, services, processes, and ourselves. Our Core Value of Innovation drives continuous improvement in a controlled and ordered process. We commit to a process based approach built upon a foundation of utmost integrity. This focus allows for creativity within a controlled environment and the application of best practices. Our Quality Management System ensures that we will meet our customer requirements. Hardin Optical is located in Bandon, OR. Our gorgeous community — home to the Bandon Dunes Golf Resort and other regional attractions — is nestled in the heart of the Southern Oregon Coast near Coos Bay, North Bend, and Charleston. Copyright 2019 Hardin Optical | All Rights Reserved.